This medium enhances the workability of Liquitex Acrylics on fabric. It controls bleeding in transparent designs and gives a smooth, consistent flow of paint. Reducing the stiffness that results when using acrylic directly from the jar, it also eliminates the need to scrub roughly textured fabrics in order for paint to adhere to or penetrate the surface of the fabric. 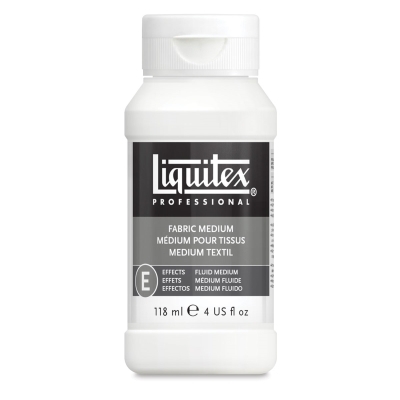 This fabric medium prevents paint from dragging, skipping, and other uneven applications.